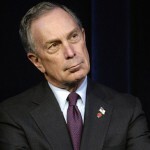 Mike Bloomberg: just say no! I don’t like Bloomberg’s corporate policies. Did you know that if you work at Bloomberg’s company, if you resign or quit, let’s say to go earn more money, you can never come back? The philosophy is that “you were employed as an asset to the company and if you leave, you’re hurting the company. How could we hire back someone who would hurt the company?” But the corporate environment there is no better than most corporate environments. Despite bringing a reasonable business acumen to the Mayor’s office and not being in the pocket of big business, I don’t like Mike’s mayoral policies either. I’m going to speak about the ones that have impacted me. First of all, how is it acceptable for a politician to do a power-grab in plain sight and nobody be COMPLETELY up in arms? I mean, this guy has changed one of the most fundamental laws in our country, and through financial might (nobody can oppose his advertisement coffers) and political power (due to the fact that nobody will be able to oppose him, nobody else will stand in his way and risk political suicide) he has managed to steal power from the voters. Term limits exist for a reason, and under the guises of “steering the city through the economic crisis” he has changed term limits to suit his purposes. What are his intentions? I don’t know, but I believe it’s ego. What can a billionaire possibly want that he can’t buy? Immortality: a legacy: he wants to leave his mark in the greatest city on earth. So far he hasn’t pulled it off: no congestion charge and no West Side stadium. He hasn’t accomplished it yet, hence the push to get 4 more years to try. Well, I may not be right, but it’s a good theory. – I hate cars, so too bad for you if you live in NYC and own one. – I hate cars, so let’s repaint all the city streets, reduce lanes and make it more difficult to get around by car. – I hate cars, so let’s create laws preventing new buildings from actually having garages big enough for even half of the units to own a car. – I hate cars, so let’s beef up parking violations parasites to harass people who aren’t wealthy enough to be able to pay for a garage (to the tune of $624 million in fines in 2008). Read about it in this article from the NY Times, and also about how the issuing of parking tickets has increased by nearly 50% under Bloomberg’s watch. – Under the Bloomberg administration, “no parking anytime” road signs have come to indicate designated parking for any city worker’s personal or work vehicle, or occasionally a handicap permit. – Under the Bloomberg administration, movie and TV production companies take over entire neighborhoods, block the sidewalks, leave diesel generators humm’ing and vibrating 24 hrs a day, often causing your home to smell like diesel exhaust, with no consideration whatsoever to residents. Police, Fire departments are powerless to make the production companies move or shut off these engines because they’re given a Carte Blanche by the Mayor’s office. – Don’t even get me started about how they abuse residents who own cars when a production company takes over the neighborhood. Frankly, I’d rather not see my neighborhood on a movie or on Law + Order. Do it like NYPD Blue or Seinfeld or The Sopranos: use a sound stage so you don’t erode the quality of life of (tax paying) residents. From within my bubble I’m clearly detached from normal life in NYC, so I want to put a stadium on the West Side of Midtown, because that won’t gridlock traffic in the ENTIRE city… clearly Mike has not driven in Northern NJ (a place designed for car culture) while there was an event at the Meadowlands. Or maybe if he has had the pleasure, it was his driver who had to deal with the traffic. What about the use of Eminent Domain to do a land-grab in Brooklyn and kick people out of their homes? Imminent Domain is so water mains, highways and power lines can be built: things that serve the people. Not a sports arena and shopping mall, that serve big business. And don’t say the arena is creating jobs and thus serves the people… BULL! Create the jobs somewhere where other people don’t already have homes and communities. Although the stadium wasn’t Mike’s idea, he pushed it through and really kicked the residents in that area in the teeth. BAD BLOOMY! Now I will attempt to scratch the surface of the lunacy going on with the MTA. Here we have an organization that has no accountability to the public, is a private organization but receives public funds; yet the MTA still leverages the fact that it’s a private organization to get around those little annoyances like the right to privacy so they can search your bags. Hypocrisy? Never. The MTA has zero financial transparency and it’s the backbone of the city. And what has Mike done to improve this situation? Only badmouth the TA Union when they went on strike, and all he can say is if you want higher wages, you have to give something back. WHAT? A slice of pizza costs more, they’re not giving me a bigger slice in exchange for the higher price? Electricity costs more, taxes are higher, gas is more expensive; why should people whose bills are higher need to “give back” in order to get a pay raise and a contract that matches inflation? The MTA charges more for subways, buses, bridges and tunnel but won’t give its employees more and certainly doesn’t give the commuters with no alternative more. I was going to rant about the schools, but someone beat me to it. Back to the car theme: clearly, Mike has London envy and feels the need to emulate Congestion Charging, which when implemented was intended to reduce traffic congestion in the heart of the city. However, it has ended up as a tax on people who need to drive through town. You’ll notice that in Mike’s quest to replicate London’s policies, there was no mention of “residential parking permits” like they have in London. If you live there, for less than the equivalent of $70/year you get a parking spot in the street in front of your home, and you don’t have to move the car for that alternate side of the street nonsense. Get this- best of all, people who park in your spot without your little parking permit get a ticket! I’d know, I got one for £120 last October. How about that? And get this: parking ticket fines go to the local council – more or less the equivalent of the local community board over here. So the fines help the neighborhoods in which they’re issued – not like NYC, where fines go to the NYC Department of Finance. Yeah, the only things Mike is looking to emulate from London is the ways they stick it to you for more cash. None of the give-backs. That’s probably because I must have forgotten, Mike expects give backs from New Yorkers, but won’t ever have New York give back to its residents. Oh yes, I almost forgot, he hates cars and has clearly made it a personal mission to make life miserable for everyone in NYC who owns one. 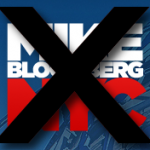 Is NYC better or worse for having had Mike as mayor? Over all, I concede, a little better. But, the climate under Mike has become one where the city subsists by leeching off its residents (something that Giuliani started, but Mike perfected). It’s time for Mike to gracefully exit. I think Mike Bloomberg, despite all his philanthropy is a businessman and a politician and (like many other politicians) he is detached from average people. He doesn’t realize that the city is here to serve its residents… not the other way around.